Thanks to our trained and certified Nissan technicians, your vehicle is in good hands at Rendez-vous Nissan. 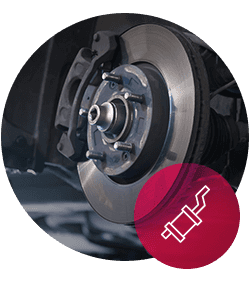 Whether you already own a Nissan or you’ve just purchased a brand-new Nissan, your next stop is our after-sales service department. Our team of technicians and specialists are passionate about Nissan vehicles. They are always happy to help you keep your vehicle in shape for as long as possible. They strive to offer you efficient and quality service. They take the time to explain each modification and will address any of your concerns. Our technicians are industry experts and can work on all brands of vehicles. So even if you don’t own a Nissan, our technicians and staff are here to help. A well-maintained vehicle makes your drive easier and safer. Schedule your service appointment by using our online contact form or by phone at 1-855-270-2444. Drive safe with Rendez-Vous Nissan! For a vehicle’s best performance, it has to have the best parts. That’s why, at Rendez-Vous Nissan, we only supply genuine Nissan parts and accessories. We have a large inventory of parts and accessories on site for you to choose from. Our team of technicians and staff can help you choose the best parts for your vehicle, situation and budget. If we don’t have your part or accessory currently in stock, we will order it specifically for you. You can also order parts and accessories online, in the comfort of your own home, delivered to your door – all you have to do is click. Also, our Genuine Nissan accessories can improve your vehicle’s performance, giving it a unique feel and personalized style. Our technicians are happy to answer your questions and to guide you through the repairs process. For more information on our parts and accessories, please call us at 1-855-270-2444 or by using our online contact form. A member of our team will get back to you in no time. Tires are the first contact between a vehicle and the road. They put up with rocks, the cold, the ground, ice, cracks, and burning soil. That’s why it’s so important to keep them in shape. Canadian weather changes quickly and abruptly – we have heat waves, cold snaps, and everything in between. This means frequent tire changes. At Rendez-Vous Nissan, besides offering you a wide selection of tire brands, we can also install your tires. Choose between BF Goodrich, Goodyear, Yokohama, Pirelli and other brands. You can even access our tire centre from home by shopping online. Then, simply stop by Rendez-Vous Nissan to install them. Our technicians are always ready to serve you and answer your questions. 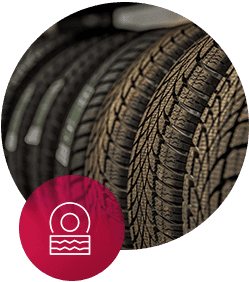 They will advise you on your tires’ lifespan, treatments to keep them in good condition, and the tire brands that best suit your vehicle. 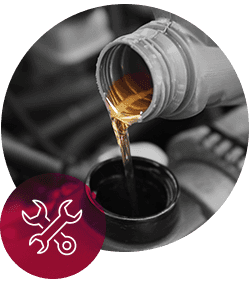 For more information or to book your service appointment, contact us at 1-855-270-2444 or by using our online contact form. We’ll be sure to respond in a timely manner.